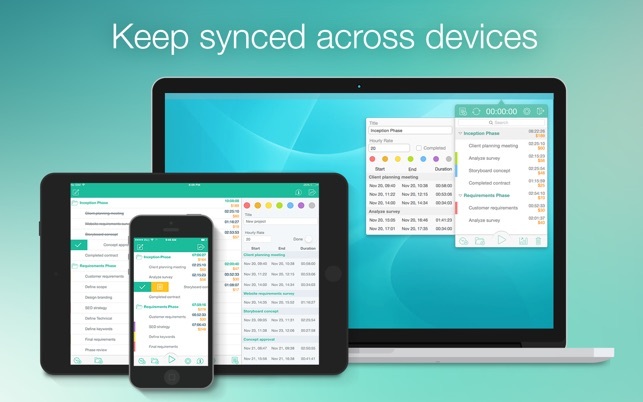 * Sync with iOS-devices requires Chrono Plus for iOS, sold separately. 1) If I forgot to turn it off before turning off my computer the timer keeps running in the background. A function for this would be really cool as this ruins my counter. 2) More than just a top bar app would also be great. A bit like the interface on the iPad maybe. In any case a really good app though! 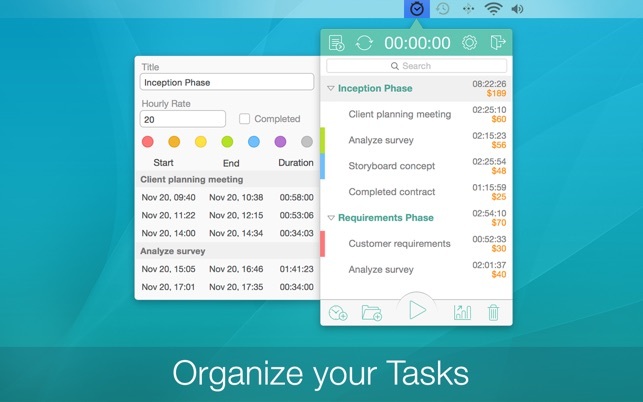 Great app to track to amount of time spent on individual projects. When working on several projects it is good to keep an overview how much time is spent where and what was achieved. This little app is perfect for that. 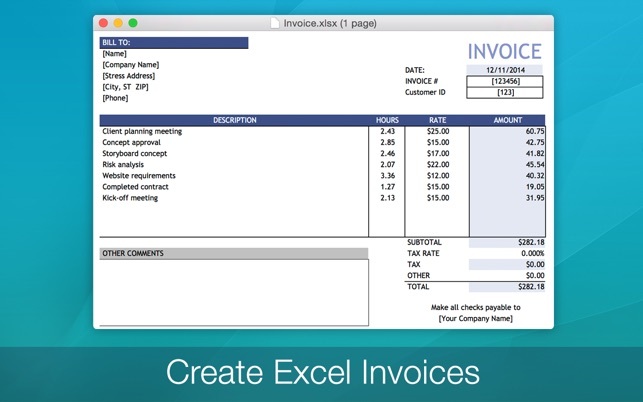 Especially useful for those creative thinkers that want to track their activityfor invoices or just for themselves. i was constantly surprised to find more and more bugs with such a simple application. there's so many bugs regarding ui component focus. the ui often gets stuck in some state where the focus is on a blocking popup that just disappears and blocks the interaction with the rest of the application. 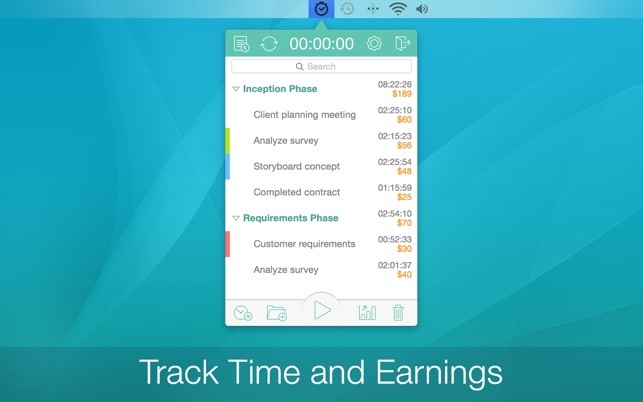 also time record get renamed without a confirmation or the possibility to undo. 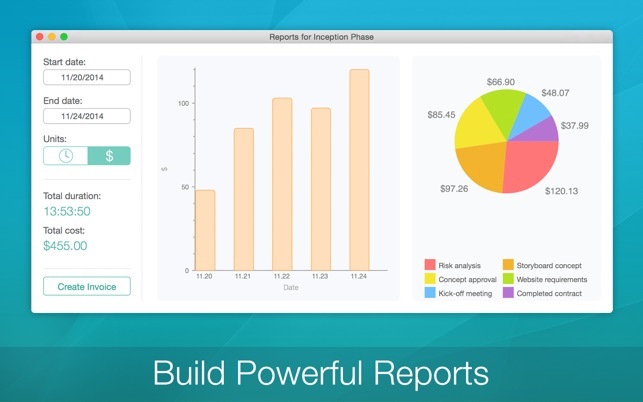 there are 'reports' with kind of decent charts which you cannot export anywhere but with a screenshot. the wide version of the report (with daily stats) you have to scroll with and there's no way to show the entire month. as a developer i expect more.